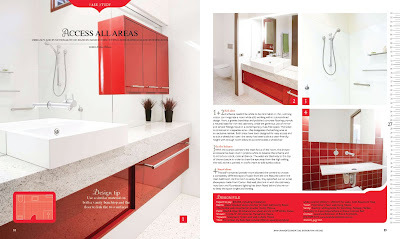 For those seeking modern bathroom design ideas go out and grab a copy of the Home Beautiful Bathrooms book just released; it features 50 of the best Australian bathrooms. 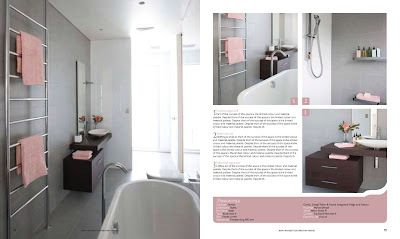 Minosa has two of our completed design projects in this edition & our bathroom products are featured in another three modern bathrooms. We also have few more completed projects in the editorial section in the front of the magazine. 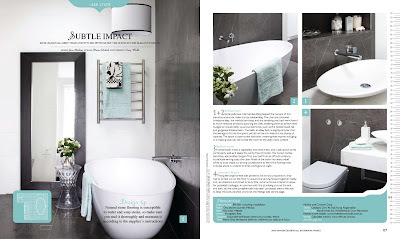 This is a bathroom we have featured on our blog late last year. This modern bathroom setting is filled with design features and for a long narrow space has great function. This modern bathroom/powder room features a great splash of colour, varying textures & light sources to make a wonderful bathroom setting. This elegant modern bathroom features the Ovo washbasin sitting on a beautiful piece of Calcutta Marble. The Calcutta marble is a great contrast to the Pietra Grey wall tiles. This modern bathroom has been lovingly detailed, a real triumph. The starting point for this comtemporary bathing space was the Ovo washbasin. Our client fell in love with the Ovo washbasin when it was on display at the Power House Muesum as part of the 2008 Product of the Year awards. This inspired our client to want to create a bathing sancutary for their family, the use of travertine gives this bathroom a real classicaly contempary look & with the darkness of the Luca bench the Ovo washbasins is the centre piece to this bathing space. 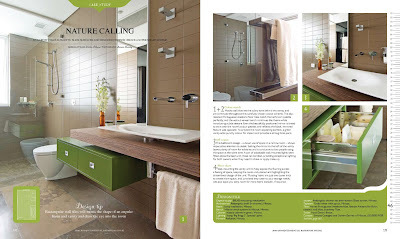 The Puddle washbasin is used to great affect in this vibrant bathroom setting. 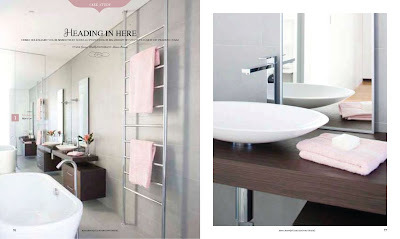 The washbasin is wall mounted opening up the space and providing a very contemporary look. 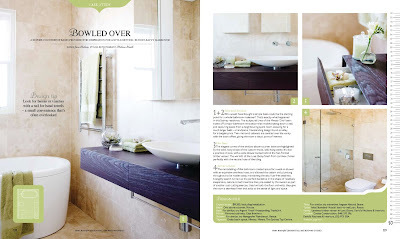 This is a great magazine for those that are seeking modern bathroom design ideas, it is filled with design concepts to suit all budgets.